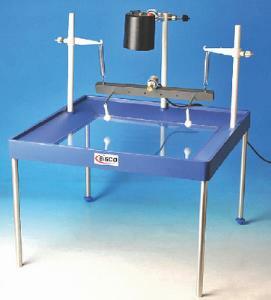 This compact tank can be used on an overhead projector or as a traditional ripple tank. It features a ripple motor with an eccentric cam mounted on PVC bar along with three supports for the illuminator and the motor unit. Motor hanging clamps and springs for motor support ensure safe and secure use. This controller provides independent, continuously variable DC outputs 0 to 5V for the ripple tank motor with a fixed AC output to operate a 6V, 20W bulb. 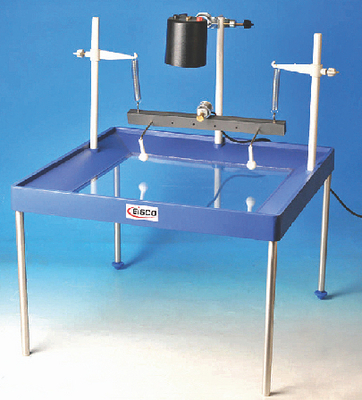 Ordering information: This kit includes a 6V halogen lamp unit, hand stroboscope, concave Perspex plate, convex Perspex plate, rectangular Perspex plate, curved reflector, large barrier, small barrier, plastic roller bar, illuminator lamp, and detachable 1.5 m mains lead. 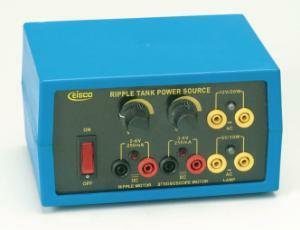 The ripple tank controller is required but not included.